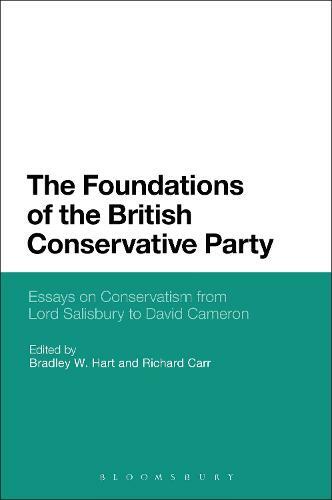 This book provides a range of essays on aspects of the British Conservative Party from the late 19th century to the present day. It offers fresh perspectives on Margaret Thatcher and Thatcherism; Britain and Europe; UK policy towards Ireland; Conservatism and reform, and the conservative ideology, to name only a few of the key issues explored. An accessible and concise overview, this book is an important primer for anyone studying British politics, history, or social and political theory. Included are contributions by leading scholars in British political history, think tank commentators, and a former Prime Minister. It offers insights into the Conservative Party's staying power in spite of great social and political changes in the UK and the world. It looks at how the party has functioned historically and what its future might be, discussing its ideology and identity with reference to both Labour and Liberal opponents. Fundamentally it considers the conservative appeal to the electorate, conservative policy in both theory and practice, and debates that have taken place within and outside the party itself. Whether interested in Winston Churchill and David Lloyd George, or David Cameron and Nick Clegg, this work is intended to inform and challenge scholars and political practitioners alike.